Dr.n.g.p. Arts and Science College Conducts many Intercollege Fests. Hostels for both boys and girls. PG courses are also Offered here. Classrooms, libraries and labs are good. Dr.n.g.p. Arts and Science College is WiFI equiped. Class timing 9:15 AM to 3:30 PM at Dr.n.g.p. Arts and Science College. Assignments are mandatory and must be submitted on time. Theory and practical classes are conducted on PowerPoint. The course fee Per year is Rs 35000 in DNGPASC. There are many student clubs for each department. Exotica is the main college fest at Dr.NGP College of Arts and Science. There is one main hostel block at Dr.NGP College of Arts and Science. Hostel fee is 3,500 rupees per month. Each classroom consists of 60 students. Assignments given in class are usually graded and are considered as internals. 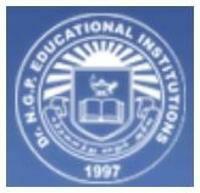 In Dr.NGP College of Arts and Science, the teachers are very friendly to all the students.